blog_grain › Grain & Groove welcomes Irish TV! Not only has our wall panelling aired on TV3, our newest member to the Grain & Groove team was thrown in the deep end last week when the camera crew of Irish TV dropped by! Great interview Sarah, well done!!! 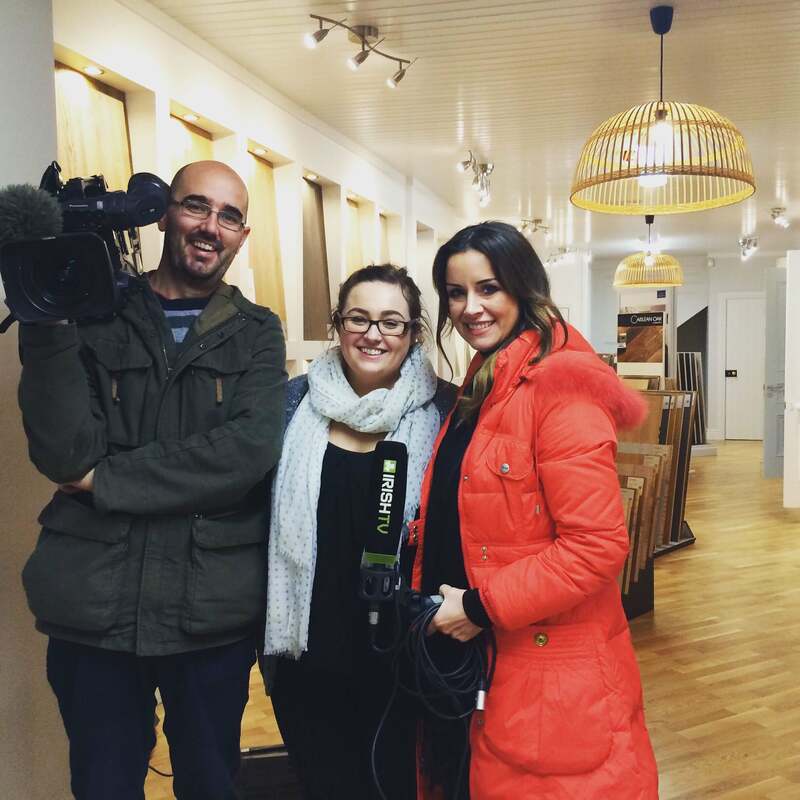 Due to air in the new year, we can’t wait to see the interview and hear Sarah talking the viewers around the shop & explaining our different timber & laminate flooring, wall panelling & paint options.